You may have seen lecithin on a list of ingredients or assumed it was a man-made chemical concoction similar to those hard-to-pronounce ingredients often found in many processed foods today. In fact, lecithin is a powerful superfood that is essential for proper brain function, and it is used by every single cell in your body. 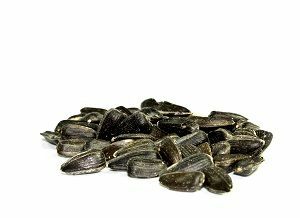 While you might not want to fuel your brain using the lecithin in packaged snacks, there are healthier sources of this nutrient, which is naturally plentiful in the humble sunflower seed. A rich phospholipid and potent antioxidant, lecithin not only feeds your brain and fuels your cells, but it also adds a delightful texture to foods and tempts your taste buds. Are you ready to learn more about how it works? Lecithin is a natural emulsifier that keeps fats from separating from other fluids. It is critical to healthy cell function in several ways. By keeping the cell membranes soft and permeable, various nutrients can be more easily absorbed. Eating a low-fat diet or a diet low in lecithin-rich foods can put you at risk of a lecithin deficiency, and your cell membranes could become hardened, making it difficult for nutrients to pass through the membrane and into the cell. Even if your diet is otherwise healthy and nutrient-dense, your cells could be starving. Many commercial lecithin products commonly come from soybeans, which are typically contaminated by pesticides and virtually always genetically modified. Soy lecithin is not a benign ingredient. Sunflower lecithin offers people a healthful alternative. It can be found in baked goods, sauces, chocolates and spreads just like any other form of lecithin. It has a smooth, creamy texture that makes it an ideal substitute for butter or other fats and is an excellent alternative for those who want to or have to avoid soy products. The lecithin is extracted when the sunflower seed is dehydrated and then separated into oil, solids and gum. Because the lecithin is cold-pressed, there is no need for chemical solvents, making sunflower lecithin a worry-free ingredient for your home-baked goods or a supplement for your nutritional needs. 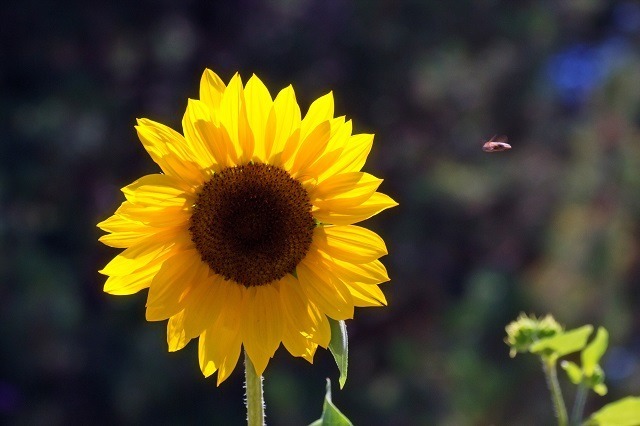 Sunflower lecithin was approved by the FDA in 2009 and is the only raw form of lecithin available. While sunflower lecithin is a useful ingredient that adds a silky, moist texture to many foods, it also has some pretty powerful health benefits, too. It contains an antioxidant called phosphatidylcholine, according to Dr. Becky Maes. (6) Phosphatidylcholine combats free radical damage and is used by the body to make acetylcholine, a neurotransmitter that helps your nervous system communicate properly. It also contains oleic acid, which promotes healing by encouraging the body to release cytokines (small proteins) to injured areas. It can even be applied to external wounds. What else can you expect from adding this powerful supplement to your daily routine? If this protective coating becomes damaged, the nerves are no longer able to efficiently transmit signals to the brain. Fatty acids help maintain the myelin sheaths and the complex nerve impulses that travel from nerve to nerve and to the brain. This is important in people of all ages but becomes even more important with age and in those with degenerative conditions such as dementia and Alzheimer’s disease. Each joint in your body requires lubrication for healthy function. Lecithin’s fatty acids are rich sources of choline, which is used by every cell in your body and a primary component of the cell membrane. Excess fat should be eliminated through the bowels, but if your liver is unable to process fat properly, it can begin to absorb the fat instead, a condition known as fatty liver disease. In addition to using sunflower lecithin as an alternative to other forms of lecithin in your cooking and baking, you can also use it as a supplement. According to drugs.com, safe doses range from 1 to 35 g a day. (12) Talk to your doctor or nutritionist for personalized recommendations, and do not take more than the appropriate dose for your needs. Use caution if you have pre-existing health conditions. Adding lecithin to your nutritional routine can not only impart all the benefits of lecithin but can also ensure you get the full benefit of any other supplement you take. While lecithin does not necessarily supercharge your supplements or diet, it does help the nutrients more easily pass into your body. This is especially important with water-soluble nutrients, which tend to degrade quickly once they are exposed to air. If you opt for granules or powders over pills, you can whirl your lecithin into your favorite smoothies and enjoy the subjective qualities of this powerful nutrient. Lecithin can mask the bitter flavors associated with many green foods and add a smooth, luxuriously creamy texture. You can also use it as a substitute for other emulsifiers in your favorite recipes. Lecithin is used to keep products thick and creamy. You can substitute cocoa butter measure-for-measure in most recipes that call for lecithin. Egg yolks can also be used. Use one yolk per tablespoon of powder, but keep in mind that egg yolks have a higher fat content. However, these alternatives may not offer the same benefits of sunflower lecithin although egg yolks are a natural source of this powerhouse nutrient. Even the healthiest supplements and vitamins can have side effects. 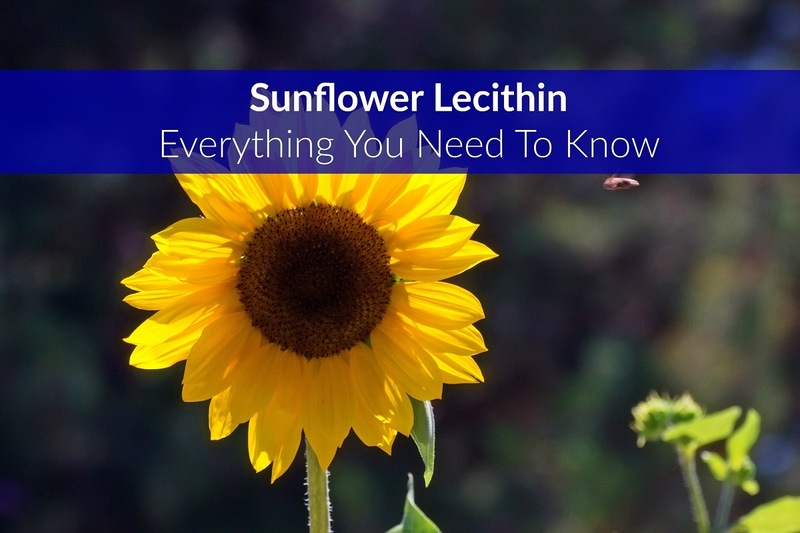 Sunflower lecithin is typically safe, but some people might experience some symptoms when they begin taking it. If you have an allergy to any sunflower products, including sunflower seeds or oil, you should avoid sunflower lecithin entirely. Emergency medical attention is needed. This can include loose stools, lost appetite, mild nausea or diarrhea. In most people, these symptoms will decline as their bodies adapt. If these side effects are bothersome, you can try lowering the dose and gradually increasing it as you can tolerate. If you are pregnant or breastfeeding, talk to your doctor before taking sunflower lecithin or other supplements. There are no known drug or vitamin interactions with sunflower lecithin, but if you are taking any other medications or supplements, talk to your doctor or pharmacist to make sure you are safe. Your body is made up of trillions of cells, each one with its own job to do. If your cells are not healthy, your body cannot be healthy. Lecithin is one of the key ingredients that every one of those trillions of cells needs to be healthy. While some of your organs can produce a minuscule amount of lecithin, most of your needs are met nutritionally. Adding lecithin-rich foods to your diet can be a great way to boost your intake, but sunflower lecithin offers an easy way to get the nutrition you need without any of the risks of other commercially produced products.